A BIT OF UNCONVENTIONAL BARBIE! Does this image bring on thoughts of bbq??? No? Me neither!!! Don’t be so surprised though! 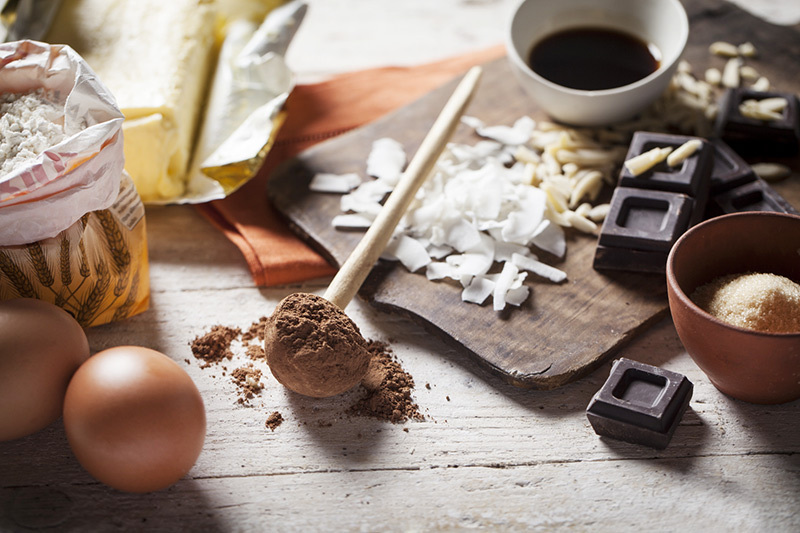 These are in fact the ingredients you’ll need for this post’s recipe! There are certain things that scream barbecue when you hear them, like steak, burgers and lamb chops though there are others that just don’t. A good example of this is what I was asked to create for this post and quite honestly, even though I may have been a tad sceptical at first, the results below speak for themselves. Having done what I’m about to show you a few times and working out a tried and true approach, it has instantly become a hit and is now part of my repertoire. The objective of this post is to turn your barbie into an outdoor oven, which is quite contrary to the sheer notion of barbecuing and to what I’ve been showing you over the past months. However, truth be told, if you have a grill with a hood, you DO have an outdoor oven as well! The trick is learning how to use the grill in that manner and how to take advantage of the grill for baking desserts and other baked goods that don’t need to be checked while you enjoy dinner with your guests. After all, isn’t the objective behind owning a barbecue to enjoy cooking outdoors? The technique behind baking on the grill is very simple! If you’ve ever cooked bread or a pizza on the grill or on a pizza stone, you have essentially baked on a barbie. 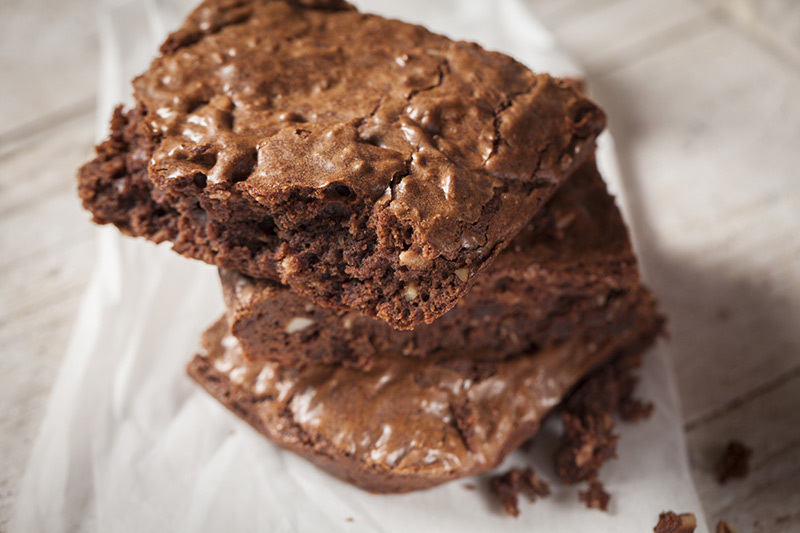 Using a slightly different technique, you can easily bake cakes, muffins, brownies (that we’ve done here) and pretty much anything else that you would normally bake in a conventional indoor oven. Keep it simple for the moment though as I can’t guarantee that a soufflé wouldn’t deflate the second you open the hood; they’re tricky enough to make in a normal oven!!! Bring your barbie up to temperature. Only open the hood slightly when placing what you’re baking on the grill, just enough to accommodate the dish or pan you’re using. This will limit the loss of heat in the “oven”. Keep the barbie closed until the baking time is up. 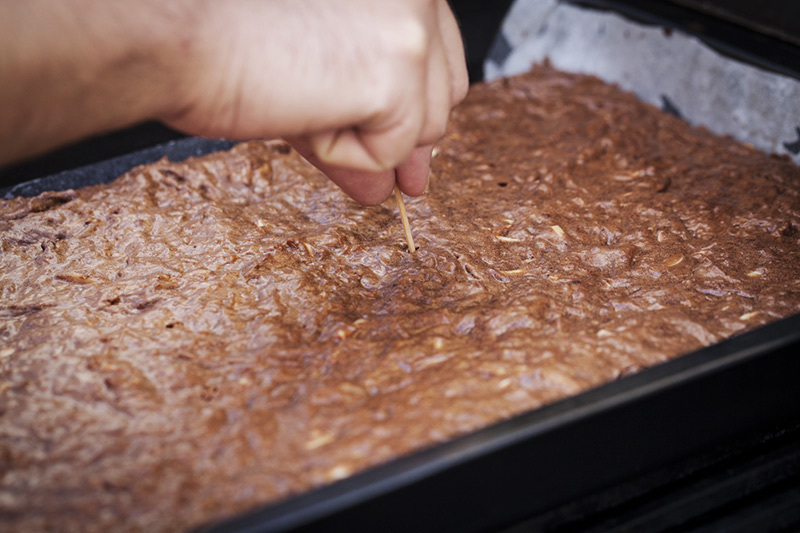 Test your baked goods while they’re still on the grill to ensure they’re done. 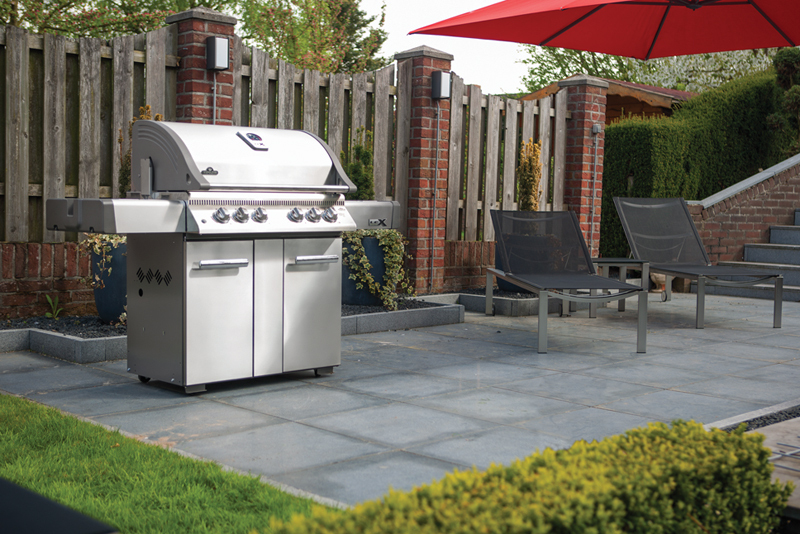 Let’s take a closer look using the Napoleon Lex, 4 burner barbie below as an example! Click HERE or on the image below to check out the range of Napoleon grills available on our website! So a 4 burner you say? Why all the control knobs then? That’s an easy question and there’s a simple answer! There are in fact 6 heat sources in total on this particular Napoleon 4 burner model. 4 burners under the grills (this is why it’s classified as a 4 burner), one burner for rotisserie cooking and one side burner. If you are going to bake on a 4 or 5 burner model you’ll want to have all the knobs in the upright and off position except the two most outer ones to the left and right that control the two burners on either extremity. This is what I mean by indirect cooking. It’s important that when baking on a barbecue that the heat source is not directly under what you’re baking or it will burn. If you don’t have a 4 or 5 burner barbecue but a smaller 2 or 3 burner, don’t fret! The concept is the same however, you will only need one burner and will have to turn whatever you’re baking halfway through the cooking process a full 180º. If you prefer using a charcoal grill, you’ll need one that has a hood and it’s important to keep the coals to one side and what you’re baking to the other. Also ensure that the charcoal or briquets have turned completely white and are embers or the smell of smoke will ruin whatever sweet dish you’re baking! 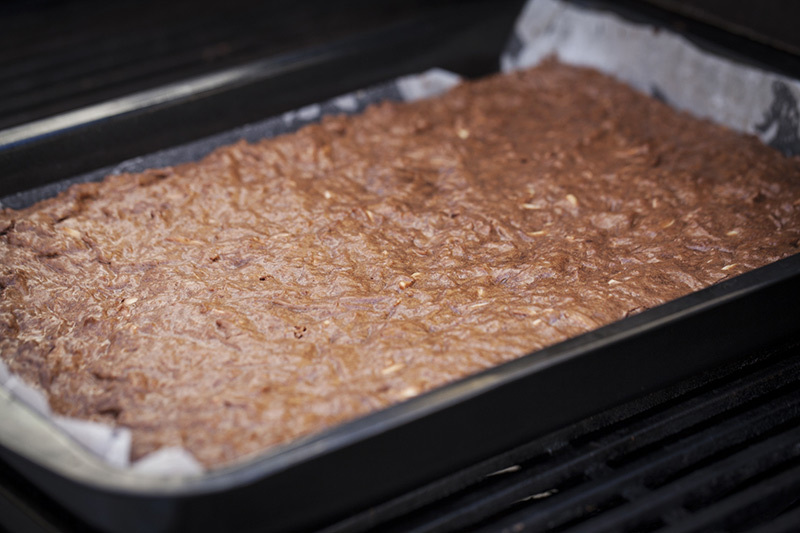 So here you have my chocolate, almond and coconut brownies cooking on my 4 burner, centred perfectly on the grill, with the left and right outer burners firing at medium-high. For more info on indirect heat cooking, you can check out our rib, and chicken roaster posts! 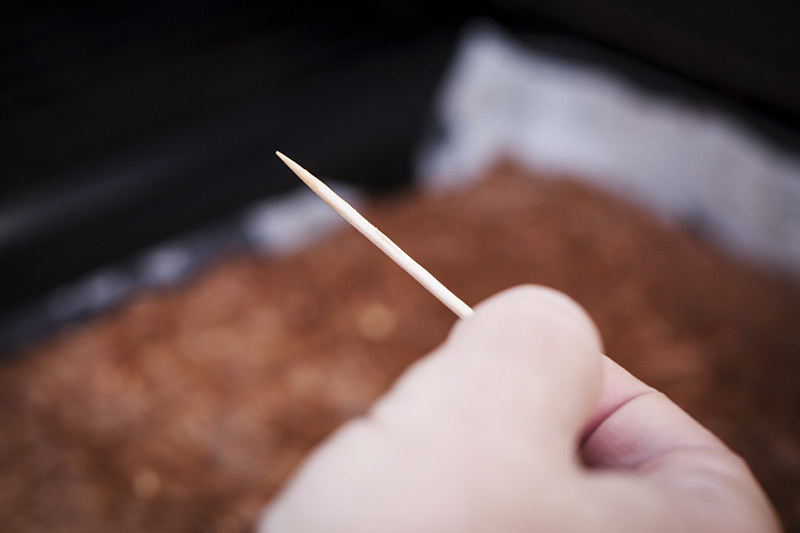 A tip for checking if what you’re baking is done is to insert a toothpick into the thickest part. If it comes out completely clean, it’s ready. Click on the image to view the BBQXL Baking Dish! I always bake using parchment paper, whether it’s on the grill or in the oven. 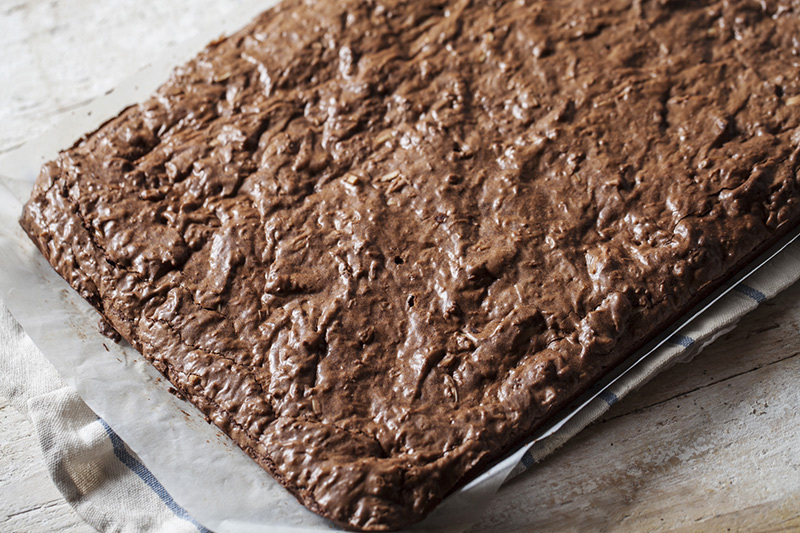 What’s great about parchment paper is that you don’t have to grease the pan you’re using. 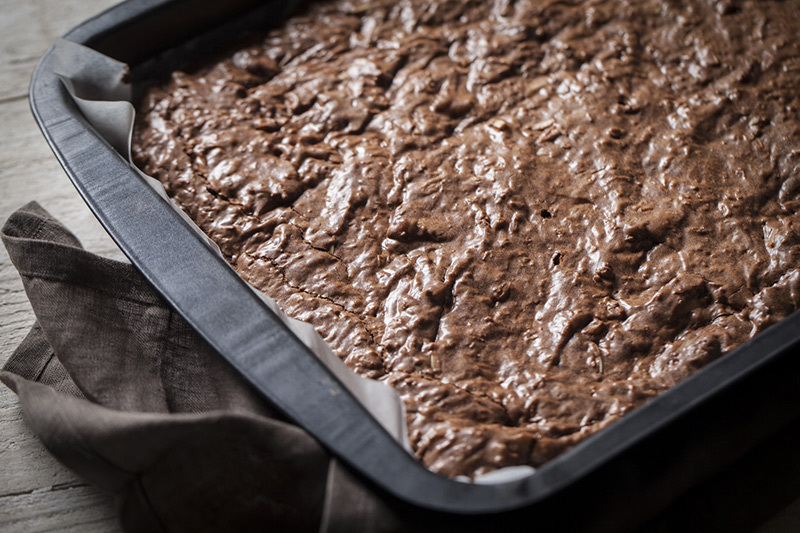 It ensures that what you’re baking doesn’t stick to the pan and nothing sticks to it either! Once you’ve finished grilling your main course, set the correct burner(s) to medium high for indirect cooking, bring the temperature inside the grill to the required temperature for what you’re going to bake (170C in this case), slide what you’re baking onto the grill, close the lid and set the timer! Dessert is served! 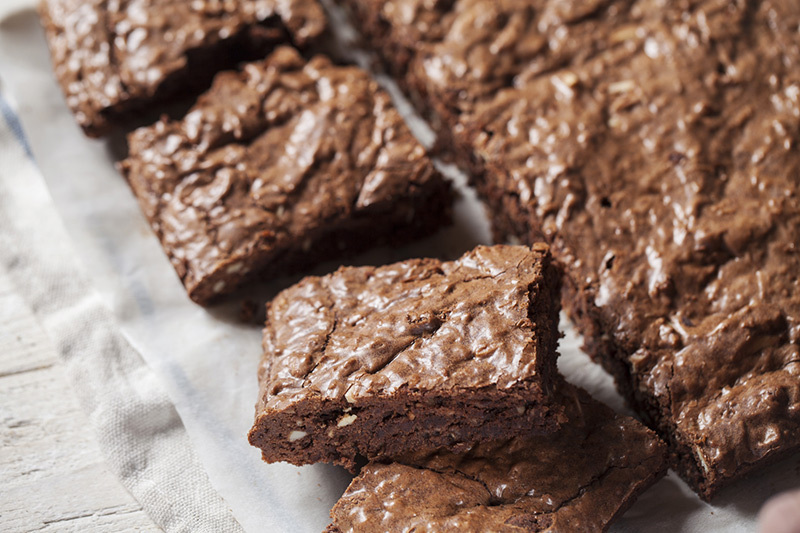 No matter how you slice it, brownies done on the barbie are delicious and easy to bake. 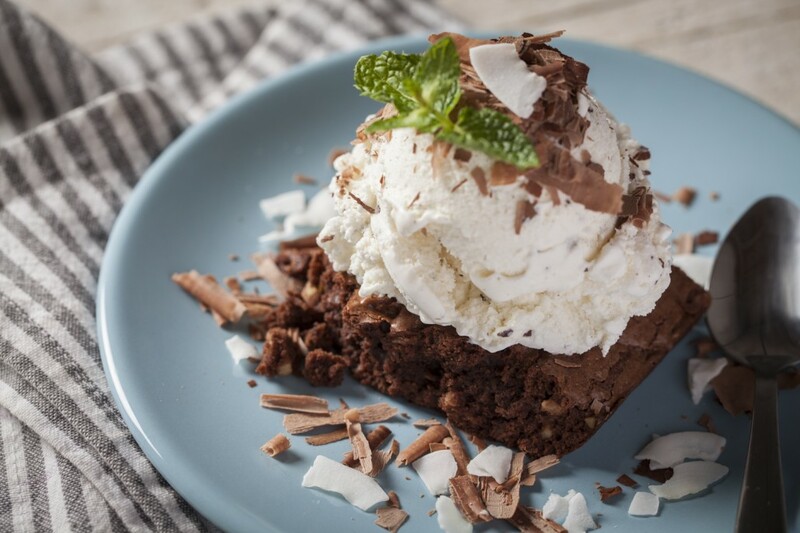 Crumbly, chocolaty, almondy, coconutty goodness; right from your grill! And feel free to step it up a notch if you so desire!!! Click on the image for the recipe!